Will Direct-Injection Carbon Engines (aka Brown Coal Innovation) be replacing traditional generation methods in the Latrobe Valley? The technology has been around for a while now and in essence, it’s making coal in a suitable liquid form and using that liquid like you would for petroleum and generating power on a mass scale to deliver base load power. It is being proposed to lower carbon emissions by up to 50% on current brown coal power plants. That doesn’t sound to bad at all since renewable energy can’t deliver the base load required to fulfil the electricity grids requirements and nuclear has high risk if a Fukashima event occurs. 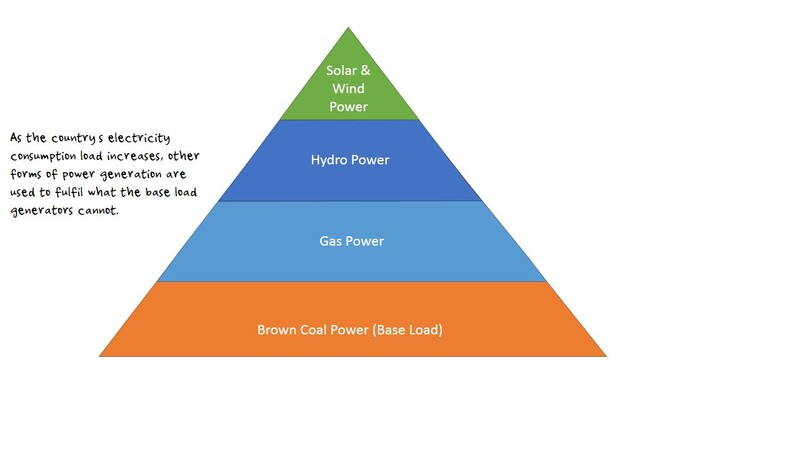 Brown coal power isn’t the cleanest form of power but it is the most efficient and Victoria has an abundance of this resource. As time goes on, they’ll net to mine deeper and wider, so environmental issues crop up, like acquifier depressurisation, but which mining project doesn’t have environmental risks? One of the benefits mentioned earlier is that it is more efficient at producing energy with claims of up to 50% reduction in Co2 emissions, even at 25%, that’s much better than the emission reduction targets being set. Job creation is another claim and also sustaining the industry too, which had a lot of speculation around it being in existence in the future with the carbon tax and ETS being put into practice. It will cost $10m for the pilot project, $40-$80m for the prototype and up to $150m for an 80MW engine. To put 80MW into perspective, current stats are each household uses on average 11kwh, so one engine could service 7,200 households. So these millions of dollars won’t be spent in Australia, with these engine manufacturers being in Japan, but the flow on effect of logistics, installation and maintenance is there. The technology can also be used as a back-up generator for renewable energy and cleaner automotive fuels. More efficient energy consumption should lead to lower energy costs, but with the rise in electricity and cost of living in the last 10 years, I doubt that.